Hungry for the Hippodrome | Arts and Culture | Style Weekly - Richmond, VA local news, arts, and events. A year into its opening, a restored historic venue searches for its place in a music-loving town. At a time of budget cutbacks, state and local officials found a way to funnel taxpayer money into the restoration of Richmond's legendary Hippodrome Theater. So why, a year after its opening, are we still waiting for a consistent schedule of events open to the general public? The Hippodrome Theater's renovated jewel of a music room is a linchpin in the city's hopes to revive the entertainment scene in Jackson Ward, once considered the Harlem of the South. 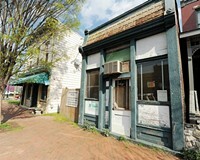 The building saw legendary performers such as Billie Holiday, Ray Charles and Nat King Cole during the 1930s and '40s. Now that it's officially been open for more than a year, just what should you expect from the Hipp? If you've been checking the venue website, you might be thinking: not much. Future calendar months float by like blank stares. Most of the regular musical events occur at the venue's neighboring speakeasy. Part of the problem is a lack of promotion, which owner and developer Ron Stallings indicates is partly intentional. "We are being quiet about it. We want to take a slow trajectory up and maintain," Stallings says. "We don't want to be just a music venue for concerts, we want to be an all-around, seamless entertainment spot and for businesses to see having their function here in a character-filled room ... to provide something positive to support the Convention Center and the Richmond resident's need." The animating idea behind the renovation was to recreate the historical venue for an upscale, modern clientele. To combine next-door dining at Mansion Five 26 with musical events at the large adjoining theater, with a capacity of 440 seated at tables and chairs, 550 in chairs and as many as 700 standing. Public money was a big part of the renovation. The Hipp received $600,000 (part grant, part loan) from the city, as well as a reported $2.8 million in state and federal tax credits, $4.7 million from investors and $3.8 million in loans. Yet big-name musical events in the main theater have been few. There were early reports that the entertainment would be managed by the Bensusan Corp., owner of the Blue Note jazz club in New York City — and according to the city, a $1 million investment was coming from Bensusan. But Stallings says that's not the case. "They did not give a million, but I will say we are still in contact with them," Stallings says, adding that "different promoters and an in-house group" will be doing bookings that focus on R&B, jazz, blues and soul. Calls to Bensusan Corp. and the Blue Note Club were unreturned as of press time. "I am not smart enough to be a promoter," Stallings says. "But we will be working with great people." With the closing of Fridays at Sunset, some people speculated that the event's longtime organizer, Ken Johnson of Johnson Inc., would begin booking similar acts at the Hipp. Johnson says that "Fridays is done," and he doesn't work at the Hipp, but rather is an investor and partner in management. "He's also a longtime friend and we help each other out," Stallings says. Clearly, the venue plans to survive by focusing on parties, events, functions and weddings in addition to concerts. Much of what's happened so far have been high-dollar benefits and black-tie events. Probably the most exciting was a wrap party for the "Lincoln" film, thrown by Steven Spielberg — and needless to say, not everyone was invited. There were 27 events in December, 17 events in January and 16 in February, according to Stallings. A recent concert by bluesman Otis Taylor didn't do as well as expected, with around 100 people in the room, according to a Style Weekly music reviewer who was there, who also noted that staff seemed unaware of future events when patrons inquired. Stallings says the venue will be "very selective to maintain the Hipp's image" when booking touring acts two to three times a week on average. "The acts will become more well-known and the ticket prices will be higher for what is known as a Dinner and a Show series. ... Ticket prices about $65 to $95 for dinner and a show." With the hindsight of similar-sized music venues such as the doomed Toad's Place, and taxpayer-funded projects such as CenterStage, you might ask: Can a venue of this size survive primarily with a niche audience of blues, jazz and soul? Will everyday taxpayers who helped finance the project find tickets affordable — or find enough reasons to go? "We are not Toad's Place. We are 28 apartments, a daily restaurant, and a venue," Stallings says. "Our floor is flat, we have the ability to do parties, functions, weddings, corporate events, fashion shows — and look pretty doing it." He says that he's also been trying to work with local performers, with mixed results. "We have a series called Home Grown at the Hipp that spotlights local artists such as Sharon Rae North, Doors Wide Open, Eric Stanley, J. Tucker, etc.," Stallings says. There's also Tim Reid's Movie Night, a series of monthly events showcasing independent films from the United States and around the world. But some local partnerships already have floundered. Local burlesque dancers from Ritz & Revelry: A Vaudeville Review were excited to become monthly performers — and their show would seem a good match with the venue. They've since decided to move back to the Canal Club, with producer Dolli Holiday stating simply that "the Hippodrome just wasn't a good fit for Ritz & Revelry." The Richmond Jazz Society seemed to consider using the Hipp, but that didn't work out either. "We looked at their beautiful room, but decided we did not want to overextend ourselves in this economy," says the society's executive director, Beverly "B.J." Brown. 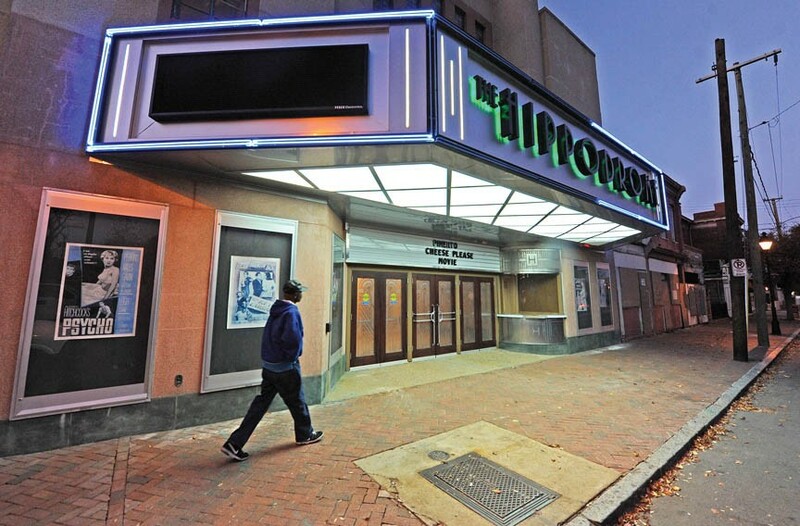 The Hippodrome renovation is a remarkable Second Street success story.